BNP on Tuesday alleged that Rangamati gun attack was well-designed and such type of violence is growing in the country for lack of democracy and atmosphere for credible polls. BNP secretary general Mirza Fakhrul Islam Alamgir said, "Bangladesh has got affected with the disease of terrorism. BNP considers killing of any people in terror attacks is a hateful act. I think the attack on election officials at Baghaichhari is a well-planned one. I strongly condemn and protest the incident." In a statement, he also demanded the government to identify the attackers and mete out exemplary punishment to them. At least seven people, including an assistant presiding officer, were killed and 13 others injured in a gun attack on a vehicle of a motorcade carrying election officials and law enforcers in Baghaichhari upazila on Monday evening. 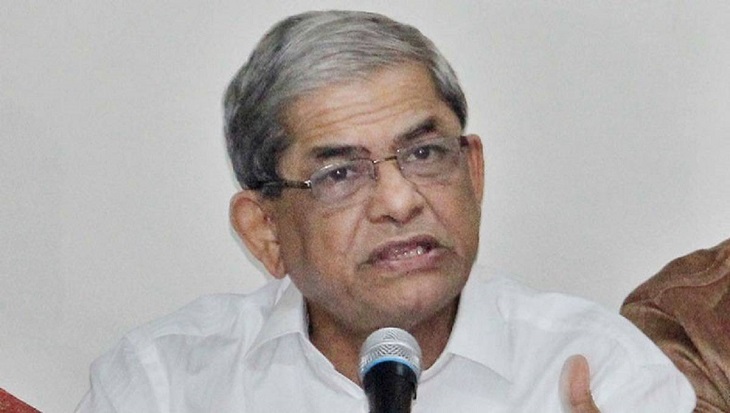 Fakhrul said ruling party men themselves are indulging in violence and killing for establishing their supremacy in the voter-less upazila elections. "The criminals in their localities got encouraged to grab power through the midnight ballot stuffing during the 11th parliamentary election," he observed. The BNP leader also said the ruling party leaders are now in a competition of capturing local power through vengeful acts as they do not have any accountability to people. He also alleged that people are getting killed in different dangerous incidents as ruling party men has taken violence and hatred as their political programme. Fakhrul claimed that people did not respond to Monday's second phase of 'unilateral' upazila election as they do not believe that any credible election can be held under the current government. "The current government has moved away from people's confidence. A one-party rule has been the only means for the government to cling to power," he said. The BNP leader alleged that the government is using the state machinery to eliminate the opposition. "The government wants to stay in power by creating panic among people and threatening them." He prayed for salvation of the departed souls of the gun attack victims and wished early recovery of those injured.